I recently visited Mazatlán and attended their first Culinary Roots Festival; Raíces Culinarias Mazatlán 2015. The festival brought together chef’s from Mexico, Spain, Argentina and the United States who are incorporating the flavors and foods of Mazatlán on their menus. The festival took place over four days throughout the city and was a great way to learn about the up and coming chefs from this part of Sinaloa, Mexico. The gastronomical festival included guest chefs cooking in local restaurants with products that were 100% native to the state of Sinaloa. These famous international chefs were brought to Mazatlán to inspire other chefs in the industry to use the agriculture and foods on Sinaloa. Mazatlán is home to an abundance of shrimp, mahi mahi, red snapper, sea bass and tuna. The tomato is the most important agricultural product of Mazatlán, followed by corn, mango, coconut, eggplant and chickpeas. The first event for the Culinary Roots Festival was a welcome cocktail and gastronomical expo held in Machado Square featuring Sinaloa cuisine. During the event I met one of the local chefs participating in the event; Diego Becerra of Presidio restaurant. Diego and I sat down for a margarita at an outdoor table at one of the restaurants in the square to talk about the food scene in Mazatlán and the festival. Diego explained that there is an explosion of new restaurants, especially in old town (Centro Historico), that are taking the traditional foods of Mazatlán and elevating the dishes in a world class way. While you might think of Mazatlán as the home of the Pacifico brewery and the first Señor Frog’s, there is much more you should know about the Mazatlán food scene if you are planning a visit. 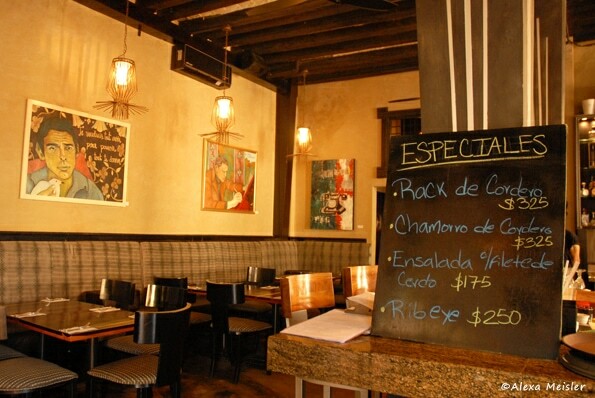 The restaurant is built in the childhood home of chef Diego Becerra and the best way to experience El Presidio is tapas style. The food is far too good to only experience one plate. Dishes include octopus sashimi, duck burritos, salad with avocado, cheese, tomato and beet, shrimp and chili with an avocado cheese sauce, pork shank quesadillas. Make sure to finish your meal with drunken flan with caramel sauce. The restaurant grounds are just as spectacular as the food; the property includes a central garden area with waterfalls, a menagerie of trees with twinkle lights, an outdoor bar and plenty of spots to sit and enjoy the atmosphere. Hector’s Bistro is one of over 60 restaurants in the old town area of Mazatlán. Hectors opened in October of 2014 and serves French and Italian cuisines. Chef and owner, Hector Peniche, is the former chef of the Four Seasons in London. His restaurant serves modern European dishes with local ingredients. I was lucky to have met Hector when I was visiting and he shared that “The Mazatlán food scene is changing. We went from a town of peel shrimp to a place where you can find foie gras”. During my visit, the menu offered items such as pate campagne, tuna carpaccio, pickled prawn bruschetta, grilled beef salad with grana Padano, spaghetti calamari aglio e pepperoncino and salmon steak in brown butter. Crab Chilorio, pickled Colachito, Avocado and Wild Green Tomato mayonnaise, Cilantro crème on a corn, malt and wheat crisp. Jícama and Shiso leaf with Shrimp paté, Peanut and Chiltepín pepper sauce with vegetable crisps. Roasted Octopus, Baby Potatoes and Bacon, Escalivada with two textures and Sabayón of Morita pepper with Chapulines. This family friendly, cowboy themed restaurant is best known for their high quality steak. La Casa Country Restaurant also have a wide variety of seafood as well as traditional dishes such as Caesar salad, tortilla soup and guacamole prepared table side. A fun feature of La Casa Country is when the waiters perform a synchronized dance routine to a handful of country songs. This is one of the newer restaurants in the Golden Zone. La Mazatleca’s twist is taking the fish stand to restaurant level. The menu was huge and included everything from local ceviches, bacon wrapped shrimp to a multitude of fresh fish entrees. This restaurant is also located on the beach in the Golden Zone. If you judge a restaurant by the wait for breakfast it’s a sure sign of good things to come! The menu took many traditional Mexican dishes and added a twist to elevate it to something out of the ordinary. A great example is the shrimp quesadillas served with squash succotash. Known for their breakfast, they are also open for lunch and dinner. This distillery located about 30 minutes out of town dates back to the 1800s. Tours of the property and the distillery share how agave is made with the processes of cooking and fermenting the blue agave plant grown on the property. One of the more interesting facts about their fermentation process is the fact they play Vivaldi classical music during the five days. The guide during my tour, Daniel Limon said “the agave feels the vibration of the music and it helps to keep the yeast working”. 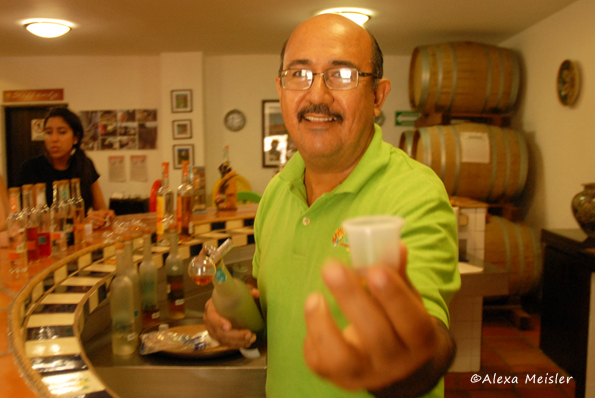 The tour also includes a class in the proper way to taste agave and of course an actual tasting. If you aren’t familiar with the term agave, it’s basically Tequila, but they aren’t allowed to call it Tequila because they aren’t located in Jalisco, Mexico. 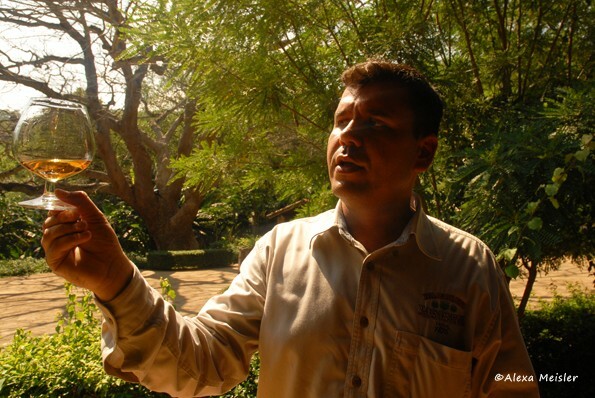 Tours are available with Pronatours and I highly recommend requesting Rodolfo Osuna as your guide. Onillikan is the only place in the world distilling mango. This distillery tasting room in located in the heart of the zona dorado (golden zone) which is tourist area with most of the hotels. The shop is open to the public for tastings of blue agave liquor, Mexican Gin made with agave azul, juniper berries and herbs or vodka made with corn alcohol and habanero. Also available for tastings are triple sec and coffee liquor. Located in the quaint little town of El Quelite which is about 35 minutes from Mazatlán. There are many reasons to visit the town including its beautiful historical buildings. The town has cobblestone streets and it appears the horse is still a main method of transportation. El Meson Laureanos is owned Marcos Osuna and is more than a restaurant. It’s a destination that shares the history of the town via murals and photographs. All ingredients are sourced locally and entrees include tamales, quesadillas, machaca, carnitas, flank steak as well as delicacies such as tongue and pork knuckles. They also make fresh horchata – which is a drink made from almonds, that was hands down the best I have ever tasted. I think the secret was they used coconut milk instead of water and a bit spice that tasted like cinnamon. The day I visited there was an extravagant show including local musicians, dancers and reenactments of a game played by mayan warriors. When you visit Mazatlán, you must try Sauve; a sweet, vanilla marshmallow covered in slightly toasted coconut. Suaves (pronounced SWAH-vays) have been a Mazatlán candy specialty since 1950. These treats are worth seeking out and you can find them in local dulcerías, most of the small neighborhood tiendas and convenience stores and in some of the bigger grocery stores. This is where the locals buy their fresh and dried shrimp. There are 400 active shrimp boats in the local Mazatlán fleet each bringing in 35-40 tons of shrimp a year between September and April. 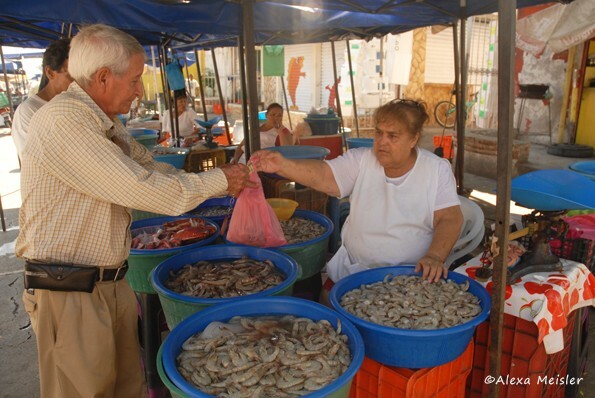 Needless to say that Mazatlán is a town you can count on for delicious shrimp. If you wanted the freshest shrimp at the best price, Los Changeras is the place to shop. If you thought the Mazatlán food scene focused around peel shrimp served with a Pacifico, you will be pleasantly surprised at the gastronomic variety that is emerging in this beautiful seadside town.